Grand Master Nam Kim, a black belt instructor and son of the late Grand Master Jae Joon Kim, first introduced me to Tang Soo Do in 1974. I studied on and off for about six months, until school and work got in the way. In 1985 I decided to train again and found a new Tang Soo Do school. 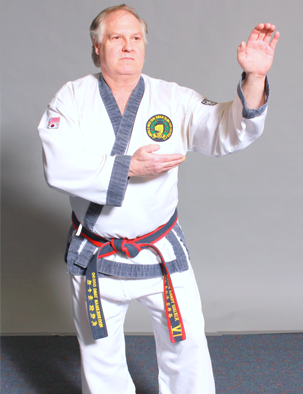 I studied under Master Bill Thompson a 4th degree black belt who was a former student of GM Kim's. In 1988 I got my masters license in Plumbing. I was a Master Plumber for the City of Detroit Transportation Department. Also in 1988 I got my 1st degree black belt (# 16299). I assisted Master Thompson in his class until 1997 when he retired from teaching .Then I and other black belts ran our own school, Livonia Tang Soo Do.